Have you decided on your bouquet yet? Will you be wearing flowers in your hair? Will your makeup blend with your colour pallet? A bride carrying flowers has its roots in ancient times. Brides carried or wore flower garlands believing that flowers signify new beginnings, fidelity and hope of fertility. Often composed of herbs not flowers, dill was especially popular since, being the herb of lust. 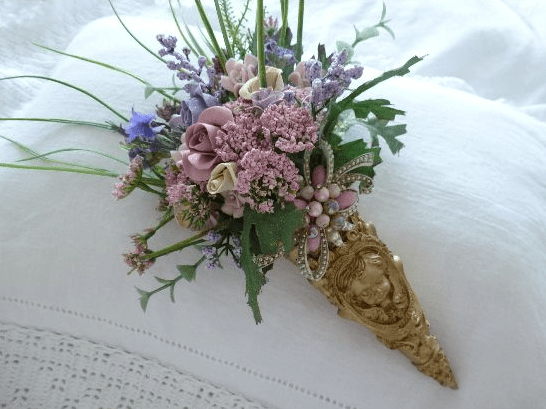 During this era, flowers became part of the wedding bouquet and that has continued until today. However, charming as they may have seemed, the old traditions have been almost forgotten, because of brides now select flowers for the beauty of the colours, fragrance and shape. This is the ultimate accessory and greatly adds to the overall appearance of the day. The bride´s selected blooms are a way for her to express her personal style, taste and personality and an essential complement to her gown.